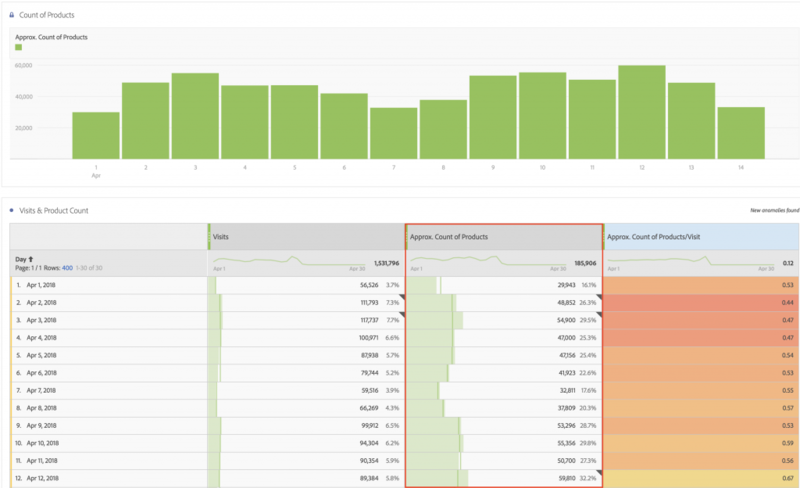 In Adobe Analytics, there are many advanced functions that can be used in Calculated Metrics. Most of the clients I work with have only scratched the surface of what can be done with these advanced functions. 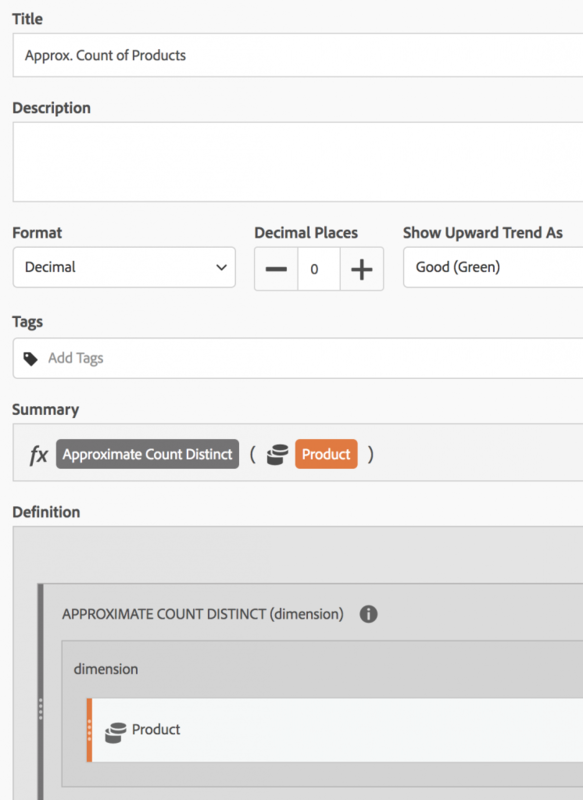 In this post, I want to spend some time discussing the Approximate Count Distinct function in Adobe Analytics and in my next post, I will build upon this one to show some ways you can take this function to the next level! How many distinct pages were viewed this month? How many of our products were viewed this month? How many of our blog posts were viewed this month? 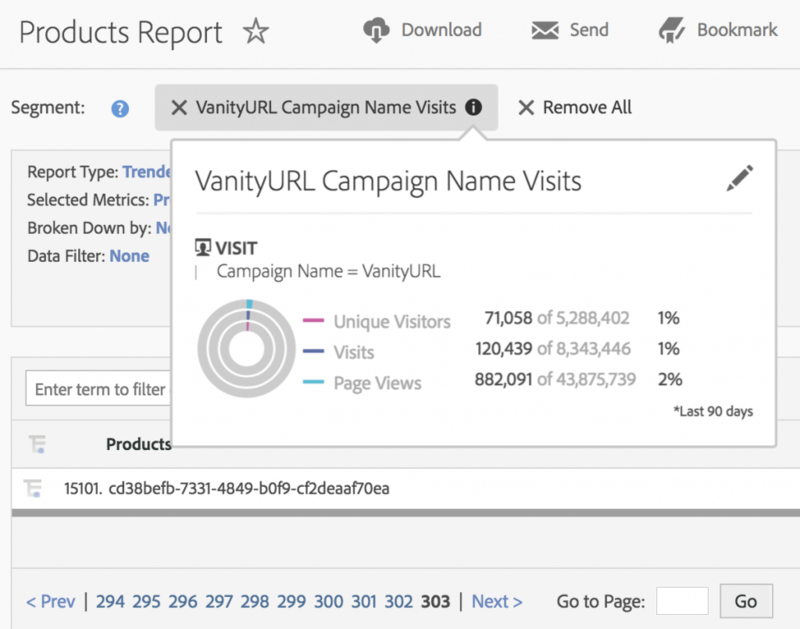 How many of our campaign tracking codes generated visits this month? Here you can see that I am showing how many click-throughs and visits each campaign code received in the chosen timeframe. Next, I am showing the Approximate Count of Products for each campaign code and also dividing this by Visit. Just for fun, I also added how many Orders each campaign code generated and divided that by the Approximate Count of Products to see what portion of products viewed from each campaign code were purchased. In this case, you can see that, for example, the VanityURL Campaign generated 19,727 Visits and 15,599 unique products viewed. Here you can see that our value in the initial report for “VanityURL” was 15,599 and the largest row number was 15,101, which puts the value in the classification report about 3% off. 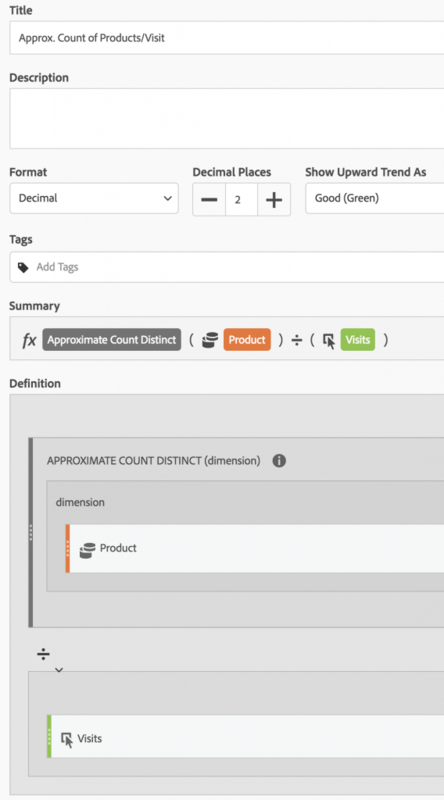 As you can see, the use of the Approximate Count Distinct function (link to Adobe help for more info) can add many new possibilities to your analyses in Adobe Analytics. Here, I have shown just a few examples, but depending upon your business and site objectives, there are many ways you can exploit this function to your advantage. In my next post, I will take this one step further and show you how to see how to calculate dimension penetration, or what % of all of your values received at least one view over a specified timeframe. Great tip! Thanks Adam. Often times I get requests to show the unique values and this function seems to do the job! Will try it out.